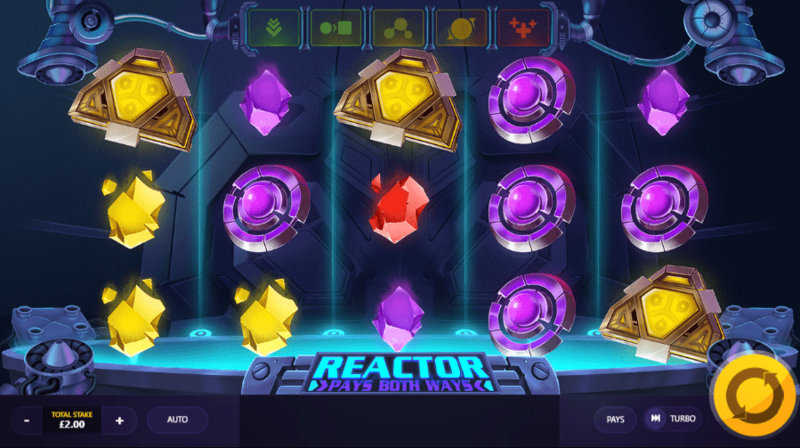 Reactor is a casino online slots game from the Red Tiger Gaming company. Set in some kind of science fiction type power plant, it deploys an arsenal of energy-related symbols on its five reels, which offer 20 paylines. There is a massive potential maximum win on offer in this game, with a 5000x stake top prize available. The slick, futuristic graphics are highly immersive and impressive and are of the high standard you would expect from a Red Tiger game. This game has five reels, three rows and 20 potential win lines. It also pays both ways, meaning that winning combinations can be formed from the left or right side of the reels. Lower value symbols are four different colours of minerals, symbols which look like some kind of gemstone or nuclear fuel. Green, yellow, red and purple are the four colours. 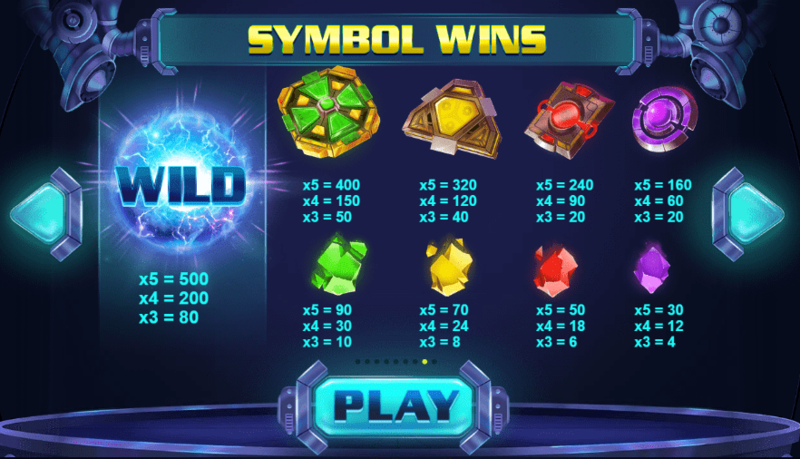 You need three of a kind of any symbol on a payline to trigger wins. The two symbols to keep an eye out for in this game are the shiny globe that looks about to explode, and the battery. The globe is the game’s wild, and the battery functions as its scatter. The wild will substitute for all regular symbols. The battery will trigger the game’s bonus features. If one battery lands on your reels, you will get one free respin. If two batteries spin in, you will receive a respin, and some of the symbols on the reels will turn into winning symbols. Three batteries offer you this, plus some random wilds to generate even bigger wins. Four and five batteries boost your options even further, with plenty of free spins, random multipliers and swap symbols on offer. Click here to find out more. Red Tiger Gaming was founded in 2014, so is a relatively new kid on the slots block. Its founders are a mix of European and Asian games industry veterans. A UK casino games company, its head offices are located on the Isle of Man. The games are produced using HTML5, which means that they can be played on a wide range of devices of any size. Red Tiger are well known for the high quality of the graphics and sound deployed in their games, which also feature things like daily jackpots and ceiling jackpots for additional entertainment. Reactor fits into the Red Tiger tradition of free money casino games with high-quality graphics and sound, and there are plenty of bonus features to keep you interested too. Its futuristic design and setting help to create a fun and exciting atmosphere. It is well worth keeping an eye out for this game in your favourite online casino.